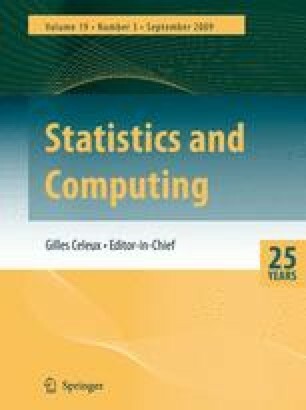 A Bayesian approach to modelling binary data on a regular lattice is introduced. The method uses a hierarchical model where the observed data is the sign of a hidden conditional autoregressive Gaussian process. This approach essentially extends the familiar probit model to dependent data. Markov chain Monte Carlo simulations are used on real and simulated data to estimate the posterior distribution of the spatial dependency parameters and the method is shown to work well. The method can be straightforwardly extended to regression models.